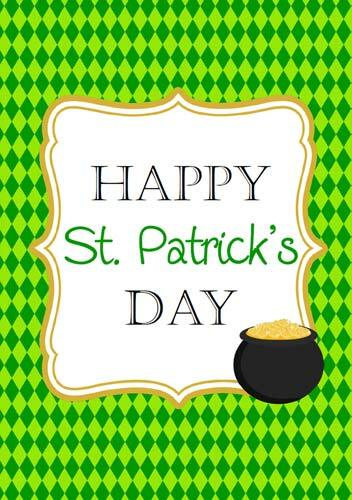 It's St Patrick's day on 17th March and I'm celebrating this Irish festival, with some Irish dishes and products from Ireland. So why Galloway Irish? 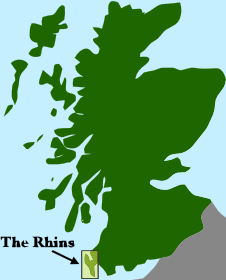 My farm kitchen is in the south west of Scotland although not in the Rhins of Galloway which is at the most southwestern corner. Because Stranraer is the shortest sea route between Scotland and Ireland, many Irish people came to the Wigtownshire area during the Irish potato famine. There is no such thing as Galloway Irish Stew, I just made that up! This stew contains lamb, potoatoes and carrots, familiar ingredients for an Irish Stew, the difference is the cut of lamb. I used a lovely leg of lamb rather than the cheaper, middle neck or scrag-end. As many peeled potatoes, cut in large chunks, as you can fit in the pot! Heat the oil in a flameproof casserole, brown the meat, then remove to a plate. Turn the heat down and add the onions, carrots, parsnips and celery and saute for about 10 minutes. 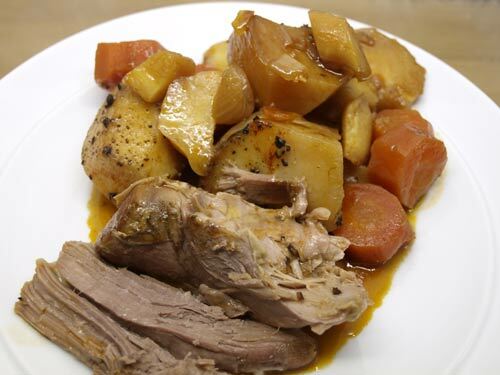 Put the lamb back in on top of the vegetables and pile in the potato chunks round about it. Add the tomato puree to the vegetable stock and pour over the meat and vegetables, season with salt and freshly ground black pepper. 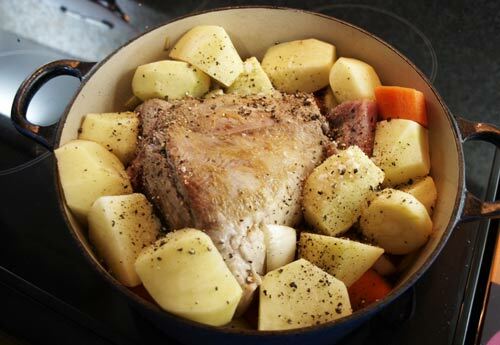 Cover the pan and cook at 160C for 2 hours until the meat falls away from the bone. More Irish goodies coming soon. Mmmm! 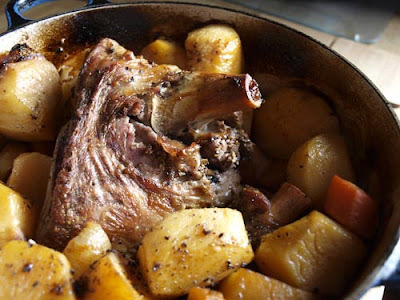 I love an Irish stew, yours seems particularly luxurious, a whole leg of lamb, fantastic. This looks delicious - I love your comfort food posts the best!